At the Davie, Florida, law office of Gordon & Doner, P.A., our entire team of personal injury lawyers and support staff are dedicated to the pursuit of justice for our clients. With decades of legal experience and a proven track record of success, we offer 100% FREE consultations to help determine the merits of your claim and can guide you safely through the entire personal injury litigation process. ... we proudly provide a comprehensive range of legal solutions to help with your injury litigation needs. Whether we are negotiating a settlement with the at-fault party's insurance carrier or we are representing you in court, we will aggressively pursue the maximum compensation possible in your unique situation. We understand that serious injuries can result in multiple surgeries, extended hospital stays and lengthy physical therapy. 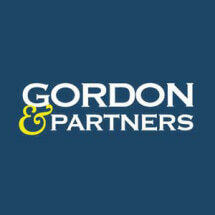 You can count on the attorneys at the law firm of Gordon & Doner, P.A., to fight for you and the stability of your financial future every step of the way. A skilled personal injury lawyer might be the only thing protecting you from a lifetime of chronic pain and insurmountable medical bills. Call us today at 1-855-722-2552 for your complimentary case review and learn more about your legal options.